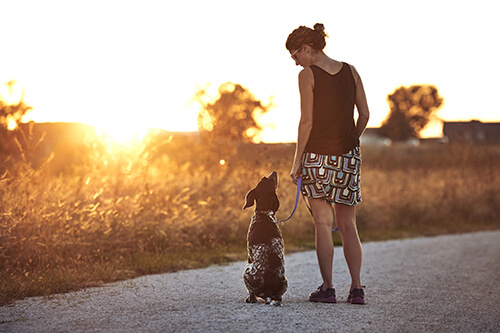 Dogs, like people, thrive when they have exercise, companionship and fun things to do. Without adequate mental and physical stimulation dogs can become bored and make their own fun, sometimes resulting in destructive behaviours like chewing, digging and barking. As much as I try, there are just some days when I just can’t give my dog, Riley, the exercise and companionship he needs. So, I keep him happy and healthy by enriching his life with a range of toys and activities to ensure he’s entertained. Following are a few of my top tips for boredom busting. Tire your dog out with a walk or game, give them something to eat and you’ll find they’re generally ready for a nap. It’s a simple formula to help keep your dog calm and happy. Training is a fantastic way to tire your dog out – all that concentrating takes a lot of effort! 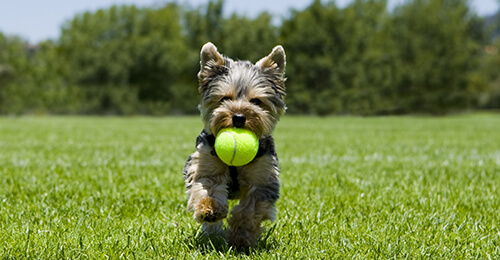 A couple of quick sessions a day will stimulate your dog and improve behaviour – win, win. Be sure to use lots of treats as rewards. 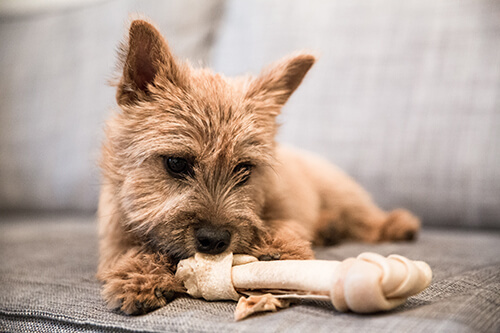 A huge range of chew toys are available, but it is very important to select toys that are safe and appropriate for your dog. Some chew toys can be stuffed with wet food and then frozen, making them last longer and keeping your dog occupied for hours. 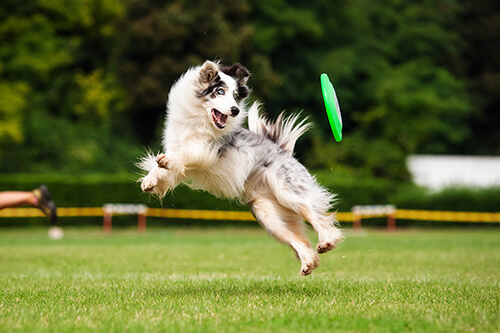 Keeping your dog amused need not be expensive or time-consuming. Take advantage of your dog’s natural instincts by using a portion of your dog’s daily ration of dry food to make a trail around your house. 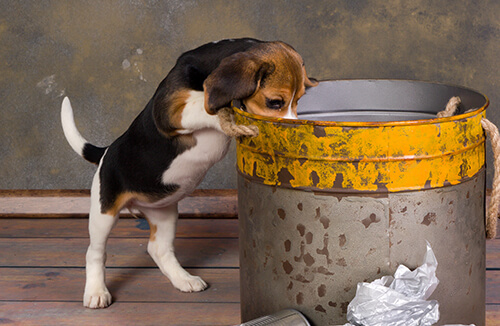 Your dog can then work for his food by sniffing it out. When it’s too wet to walk get creative by making up games to play indoors. Teach your dog to play the game “Find It” by hiding your dog’s favourite toy and asking him to find it by sniffing it out. Start by getting your dog excited about the toy by playing a game with it. Make it easy initially, let him see where you ‘hide’ the toy, ask him to ‘find it’, then make a huge fuss when he retrieves it. When you’re confident your dog understands what the command ‘find it’ means, start placing the toy in different places around your house. You can play this game anytime, it’s a great way to expend pent-up energy and it’s almost as much fun for you as it is for your dog. 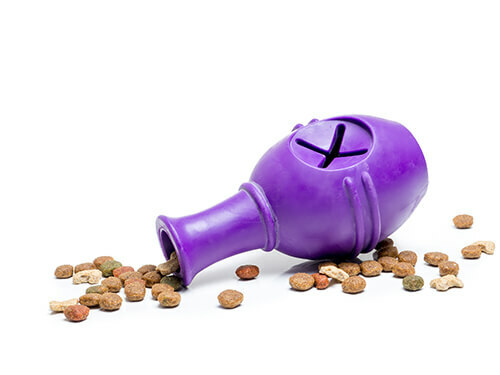 Interactive toys encourage activity by dispensing food when your dog plays with them a certain way. Dogs are entertained and challenged by using their paws and nose to figure out how to release the food, keeping them occupied when you’re not around. 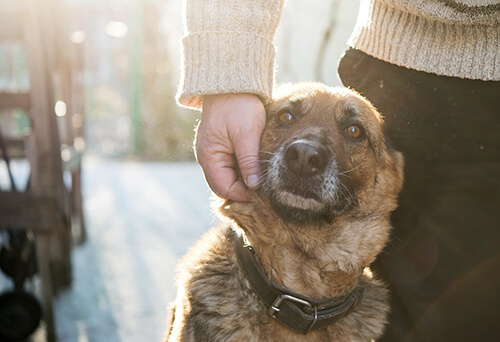 Don’t underestimate the value of simply spending time with your dog. Maximise this time by always allowing them into the house with you whenever you are home.